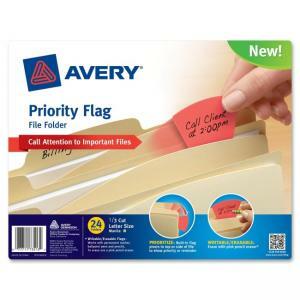 Priority file folders alert you to your most important files with built-in priority flags. 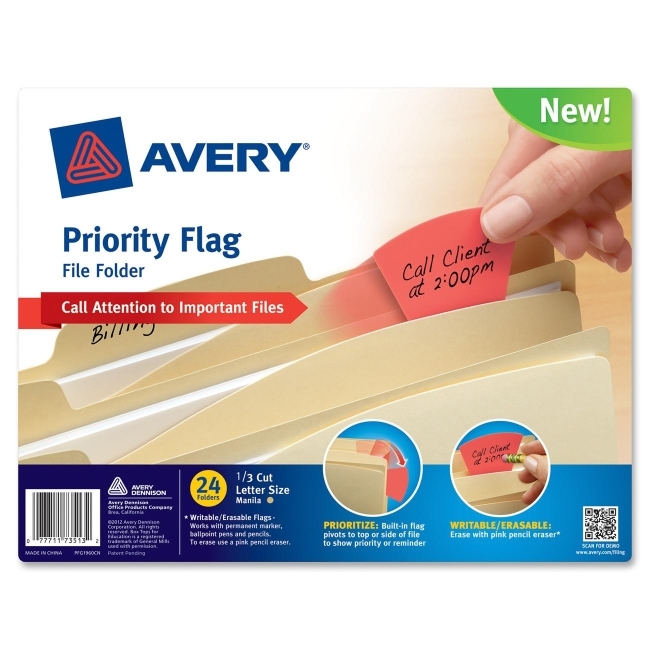 Writable, erasable flags help you prioritize or provide you with reminders. Each flag is able to pivot up vertically or to the side of your file. Flag is writable and erasable with a ballpoint pen, pencil and permanent marker. To reuse the flag, simply erase and write again. Each folder also features a 1/3-cut tab and is made of sturdy, 11 point stock.